In the municipality of Eivissa the capital of the island is located, with its impressive walled city declared a World Heritage Site in 1999. This Mediterranean village has behind him a spectacular history that have led them to become a cosmopolitan European city. 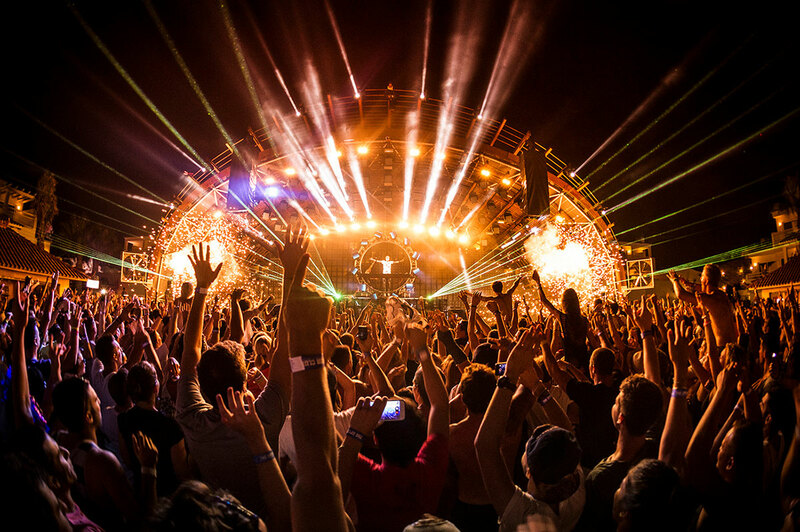 And that Ibiza offers the best opportunities for shopping, nightlife, bars and cafes spectacular, stunning restaurants and amazing historical buildings. A walk through Dalt Vila can enjoy the breathtaking beauty of the Wall and the spectacular views of the city and the sea. The historic center of Dalt Vila is today an outdoor museum in which to explore the traces of all civilizations that have passed through Ibiza, from the Phoenicians to the cartaginenes, through the Romans and Muslims, until the Catalan conquest in the century XIII. The main entrance to the historic site is the drawbridge Portal de Ses Taules, next to the Mercat Vell. 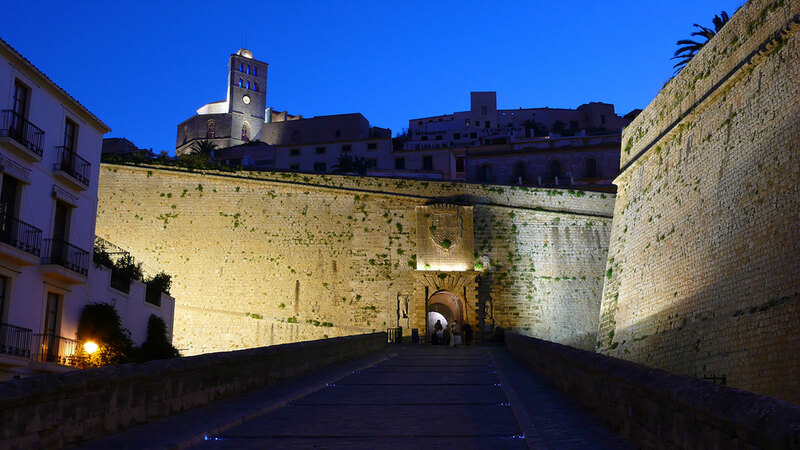 Inside the walls you can visit the Cathedral; the Church of Santo Domingo, the Chapel of San Ciriaco, the Town Hall and the Archaeological Museum, which has an impressive collection of pieces that allow better know the history of Ibiza. Facing Dalt Vila, across the harbor, it is located one of the most exclusive marinas in the Mediterranean, Marina Botafoc. This space has undergone an incredible development in recent years, sprouting colorful modern buildings that give prestige to the Paseo Juan Carlos I, meeting place for all kinds of people, both locals and tourists. Restaurants, bars and boutiques with a long history of international fashion designers to give this area an air of distinction as do the super-mega-yachts that dock here. 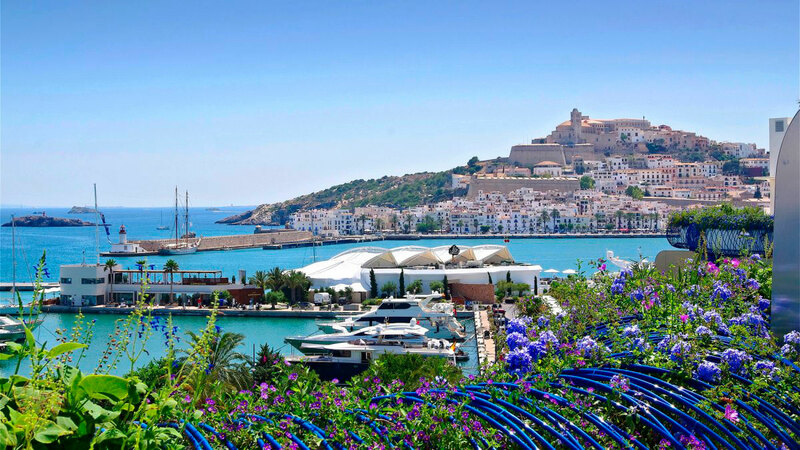 The weight of history of Dalt Vila coexists with the charm of a lively cosmopolitan city. Life flows in the Plaza de Vila and in the Plaza de Sa Carrosa or street of the Virgin, where citizens converge around the world eager to enjoy a multicultural and creative environment. In the historic center there are numerous artisan shops, art galleries, hotels and restaurants. Figueretas Beach is just over 15 minutes away. In addition, several beaches such as Talamanca and Platja d'en Bossa, dot its coastline and they can practice all kinds of water sports. You can take a short ferry ride or bus or taxi plantarte in the clubs of Playa d'en Bossa, including Space and Ushuaïa addition to discover the bars and beach clubs that take the longest beach on the island. There are other attractions outside the city walls, as the necropolis of Puig des Molins, used as a cemetery for more than 1,000 years and has 3,500 hypogea (underground tombs), oo ancient irrigation systems known as 'Portals of Feixa' declared of cultural interest by the government of the island. Walking without watching the clock you will get to see a lot of bars and cafes along the Old Market-Mercal Vell in the Plaza of the Constitution at the foot of the great ramp to Dalt Vila. You must visit the legendary Café Le Croissant Show or to the other side of the square Tomato Café, where you can listen to music 'deep house' while drinking your coffee or a refreshing glass of white wine.